Festival fashion takes to the red and striped Hudson's Bay carpet during the fourth annual fundraising soiree kick-off at the TIFF Bell Lightbox. The celebrity sightings included Natalie Portman, Kristin Booth and Natalie Brown at the Wednesday, September 9, 2015. Natalie Portman on the Hudson’s Bay striped carpet at TIFF Bell Lightbox during the Toronto International Film Festival on September 9, 2015. Photo credit: George Pimentel, in the photo at top and below. 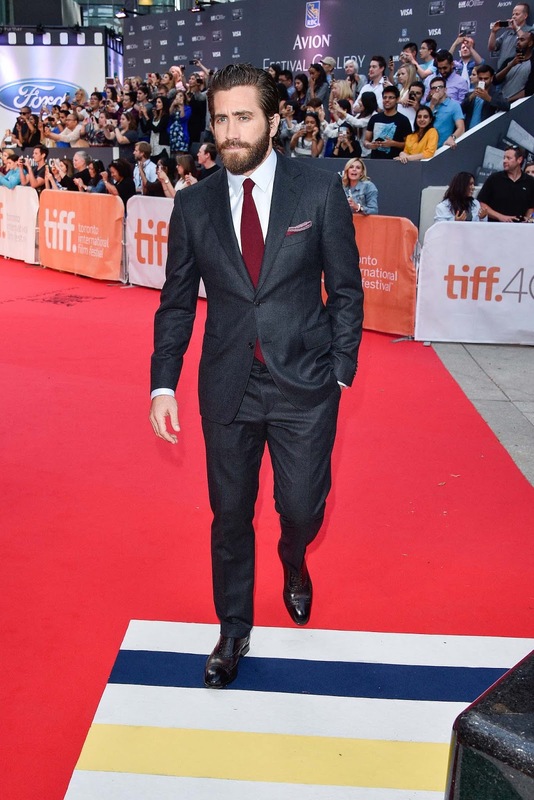 Hudson's Bay is the official Red Carpet Sponsor and Official Fashion Retailer of the Toronto International Film Festival, returning for a fifth year and the Stars on Stripes alerts will show us the hottest red carpet looks during the famous film festival. "Hudson’s Bay will also have 25 interactive promotional ‘shoefie’ carpets set up around Toronto and in store at Hudson’s Bay Queen, Yorkdale and Sherway Gardens locations, as part of its “Stars on Stripes” initiative. Festival-goers are invited to take a ‘shoefie’ of themselves on one of the HBC promotional carpets. If they choose to post their “shoefies” to Twitter or Instagram, tagging #starsonstripes and @hudsonsbay, they’ll be given a chance to win a VIP shopping experience and tickets to a closing night TIFF film." More stars on the Hudson's Bay red carpet after the jump. Drew Barrymore on the Hudson’s Bay striped carpet at the 'Miss You Already' premiere at Roy Thompson Hall during the Toronto International Film Festival on September 12, 2015. 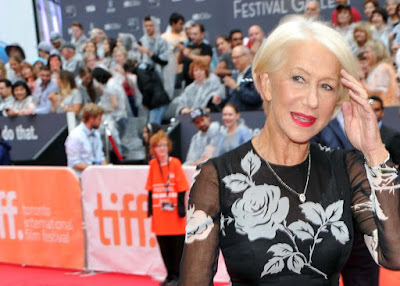 Helen Mirren in a Hudson's Bay signature striped shawl on the red carpet at the 'Trumbo' premiere during the Toronto International Film Festival on September 11, 2015. 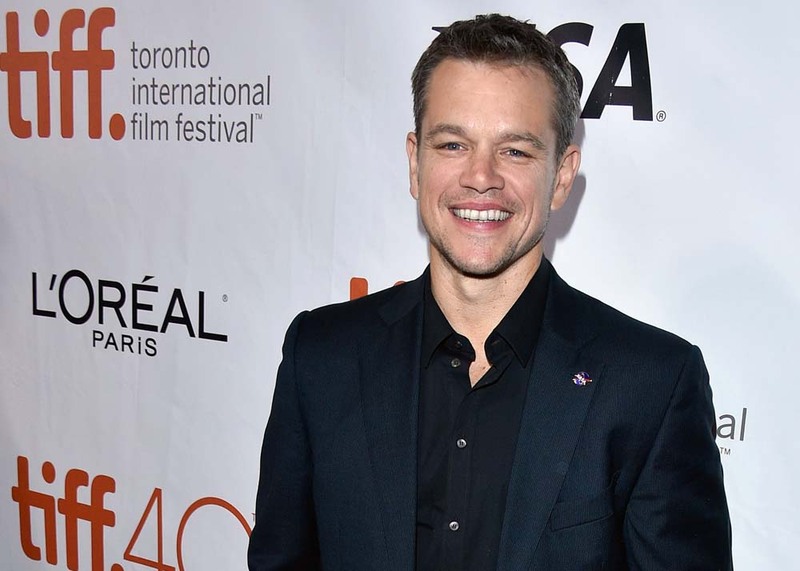 Matt Damon on the Hudson’s Bay striped carpet at the 'The Martian' premiere at Roy Thompson Hallduring the Toronto International Film Festival on September 11, 2015. 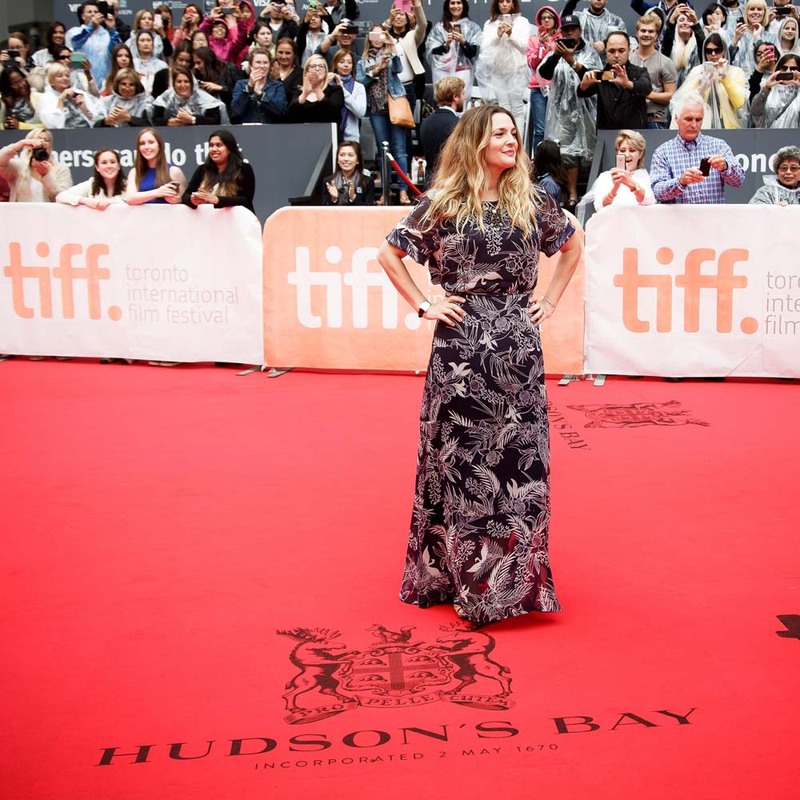 Julianne Moore on the Hudson’s Bay striped carpet at the 'Freeheld' premiere at Roy Thompson Hall during the Toronto International Film Festival on September 13, 2015. Ellen Page on the Hudson’s Bay striped carpet at the 'Freeheld' premiere at Roy Thompson Hall during the Toronto International Film Festival on September 13, 2015.